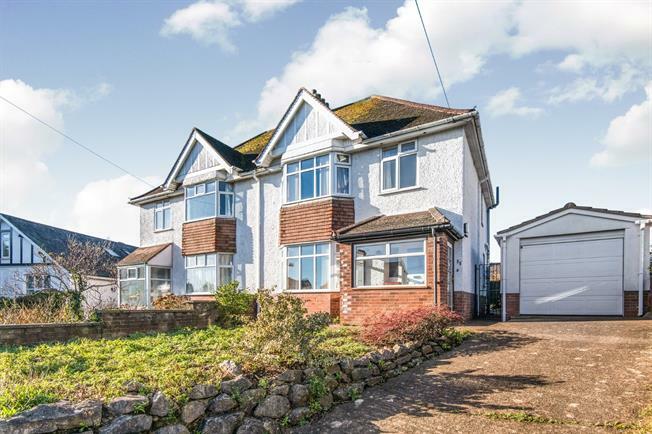 3 Bedroom Semi Detached House For Sale in Exmouth for Asking Price £335,000. SIMILAR PROPERTIES REQUIRED FOR WAITING BUYERS. Benefitting from a lovely westerly facing rear garden, this well presented and spacious three bedroom semi detached house also boasts two good size reception rooms, kitchen, utility room, ground floor WC and conservatory. On the first floor are the three bedrooms, contemporary fitted bathroom and large landing area. Outside is the front garden area and driveway at the side leading to a large detached garage with an electric roller door. Internal viewing is highly recommended to appreciate the location and accommodation on offer.